*This page is about superabsorbent polymer, slush powder, potassium polyacrylate, sodium polyacrylate, SAP. The origins of superabsorbent polymer chemistry trace back to the early 1960s when the U.S. Department of Agriculture developed the first super absorbent polymer materials. As a function polymer material, superabsorbent polymer (SAP) has strong water absorbing ability. It can absorb hundreds times its weight and lock water firmly. After absorbing, SAP powder (or granule) will turn into water gel. According to different usage, there are many types of superabsorbent polymers. There are many types of SAPs such as sodium polyacrylate, potassium polyacrylate, etc. SAP (Superabsorbent Polymer) is a functional polymer with higher water absorption and superior water retention capability. Become water gel form after absorbing. Tips : Its most beneficial property lies in the fact that it absorbs liquids equivalent to several hundred times of it body mass and transforms it into a Gel; that is why it is able to retain or stop water. 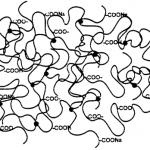 It consists of a set of polymeric chains that are parallel to each other and regularly linked to each other by cross-linking agents, thus forming a network. When water comes into contact with one of these chains, it is drawn into the molecule by osmosis. Water rapidly migrates into the interior of the polymer network where it is stored. SAP’s main compositions are sodium polyacrylate or potassium polyacrylate. Cation type SAP – concrete additive. Sodium polyacrylate – widely used in industrial production such as Paper diaper, Sanitary napkins, Ice bag, Air fresher, Expanding rubber, etc. Burnt SAP : the SAP was produced in over-temperature. 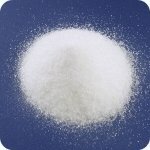 As the type of superabsorbent polymer for plants, it is a unique superabsorbent granule, which acts to provide increased moisture availability to plants. With each passing day, SAP is being employed in more and more industries and applications due to its increasing popularity and efficiency in water deterrence. SAP is a highly coveted product as far as the manufacture of water-proof tapes and ointments for all sorts of cables are concerned; even, optical fiber cables use SAP. The extent and the speed of absorption is quite high and so are the overall inflation rate and its quantum of inflation upon encountering water. Fresh water is directed at the individual sheets of ice packs to activate them; Superabsorbent Polymer instantly starts absorbing the water and converting it to a Gel by placing them under fresh tap water; in about 20 minutes time it is seen to soak up enough water to form small cushion-shaped Ice Cubes. They are now ready for use by placing in the freezer. SAP has this unique application in Disaster Management where it is used in preparing sandbags which, when coming in contact with water, quickly absorb it and expand to form a barrier to the advancing water. Though we call them Sandbags, they actually do not contain any sand; they are so called because that is how they have been known traditionally. These Sand-less Sandbags are quite small in size and light in weight initially but they soak up the water to assume a solid shape. They are much easier to store and transport and take up lesser space when unused. Since it is an effective sealant, it finds application in Cement-base items. 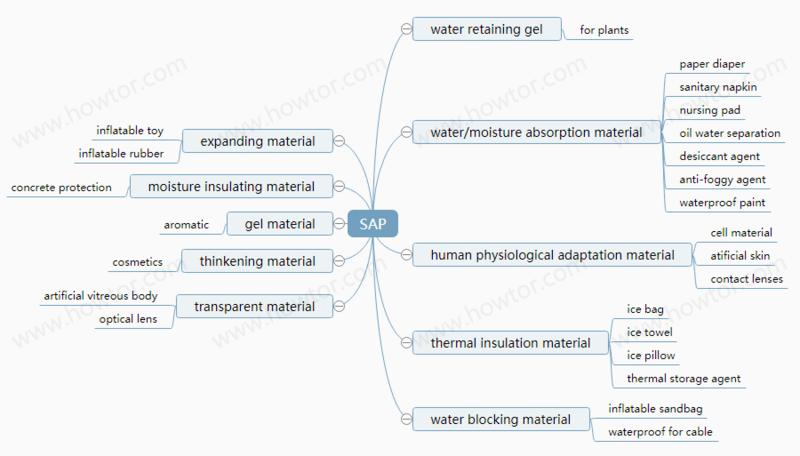 Due to its awesome capacity to act on moisture, SAP (Superabsorbent Polymer) is finding newer purposes for which it is being employed.